Audio Push featuring T.I.- "Theme Song"
California rap duo Audio Push released a new tune called "Theme Song" featuring Atlanta rapper T.I. and production by Hit-boy. The beat hits the speakers hard, but compliments the duo's chill flow and even T.I., who spits a few rapid verses. This will be on the pairs upcoming release Come As You Are, which should be dropping tomorrow. Stream below. 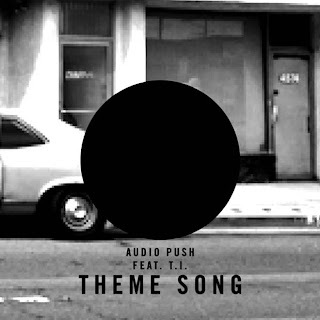 Posted in: Audio Push,Hip Hop,Listen,T.I.